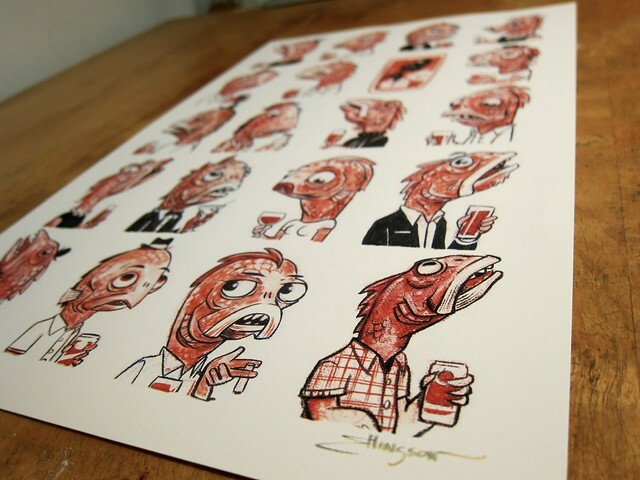 In preparation for Emerald City Comicon, I've sketched up twenty drinking fish people. 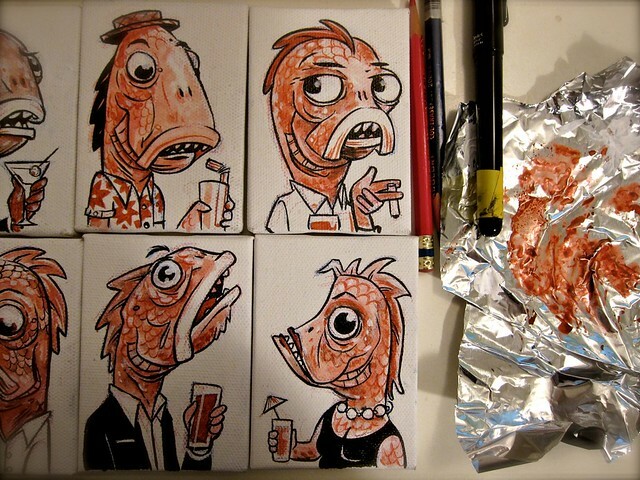 Each of these drawings were made with ink and acrylic paint on miniature wallet-sized canvases. 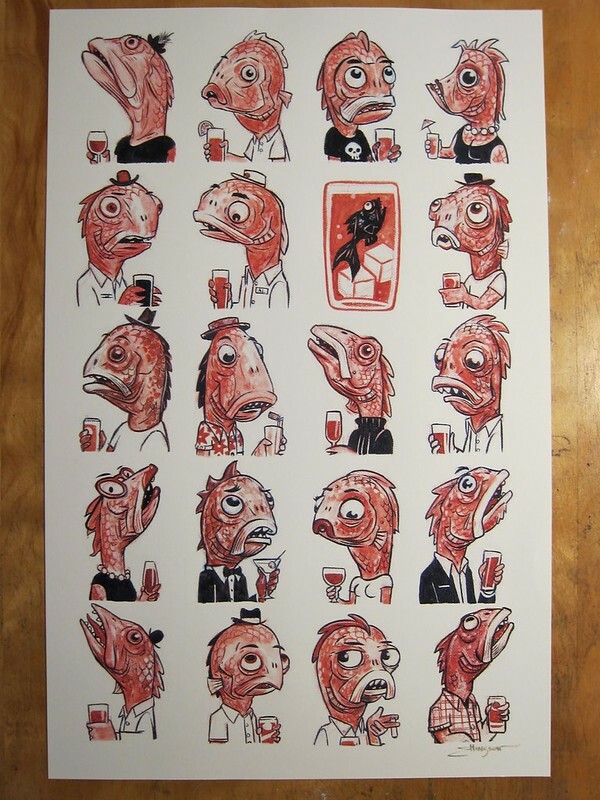 They will be available for sale at the Comicon for ten bucks, so please stop by my table to get yours before it's gone. Prints of the entire set are available now and you can pick one of right here from this post! The prints are signed 11x17" giclées, printed on Moab Photo Rag paper with fade-resistant pigment. They are $20 each and $5 for shipping (rolled in a tube). 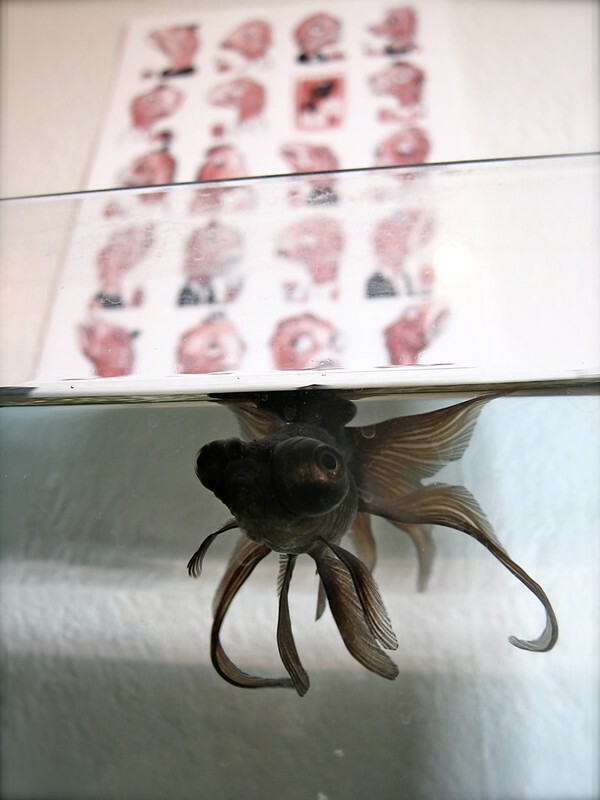 Photos of the print below.